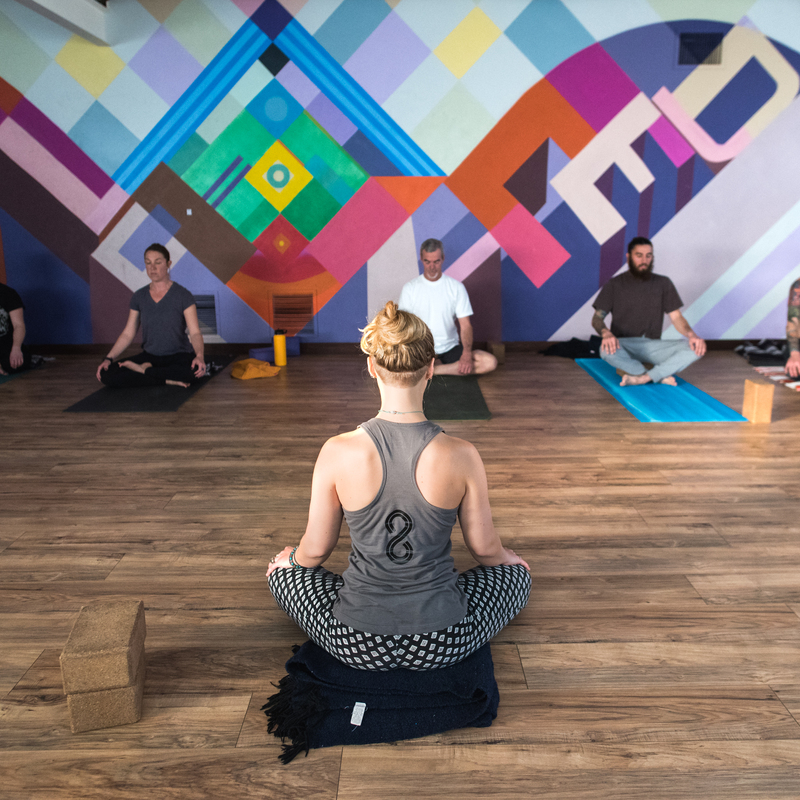 Grotto Yoga is a space that strives to honor the many different lineages of yoga as well as celebrate the diversity and uniqueness of teachers. The Grotto philosophy welcomes everyone regardless of their yoga or climbing level of experience. Currently on the schedule Grotto offers Hatha classes, Vinyasa, Restorative, Pranayama and Meditation, as well as myofascial release. Grotto’s intentions are to provide many different workshops, immersions, trainings, retreats and opportunities for yogis and climbers alike. A challenging and active, flowing practice cultivating balance, strength, flexibility and awareness. Strong emphasis is placed on safe alignment and use of breath within each posture. Challenge your body and focus your mind while working through dynamic sequencing building toward advanced variations. Appropriate for all levels of students. A yoga experience that offers a slow pace and long breaths as a way to foster presence and depth. Students are encouraged to move with authenticity and understanding of their own anatomy. 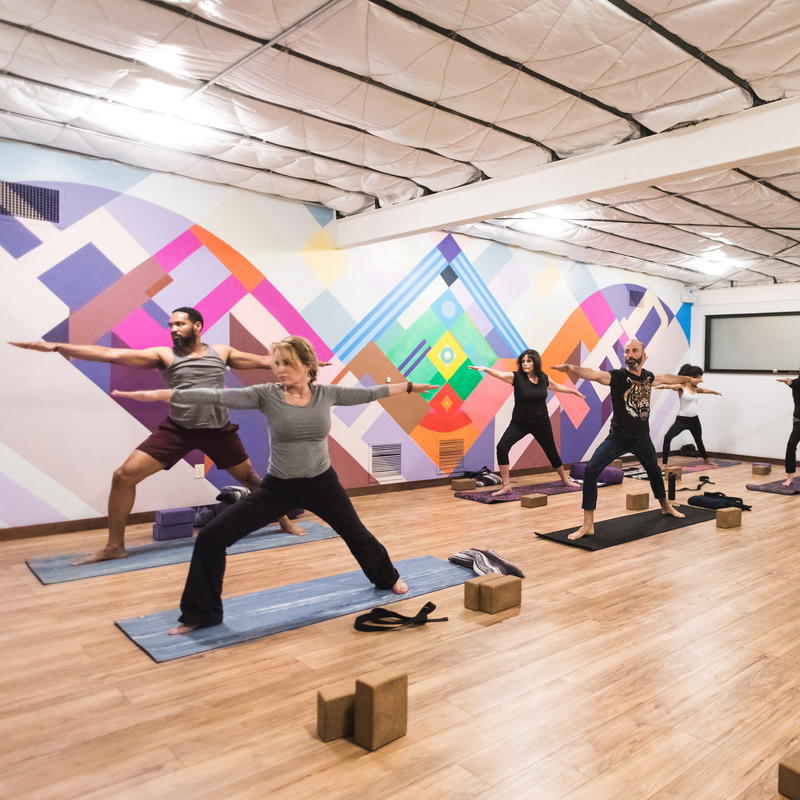 Power Yoga is intelligently sequenced and is appropriate for all levels. This practice builds physical and mental strength leaving students confident and comfortable within one’s own skin. 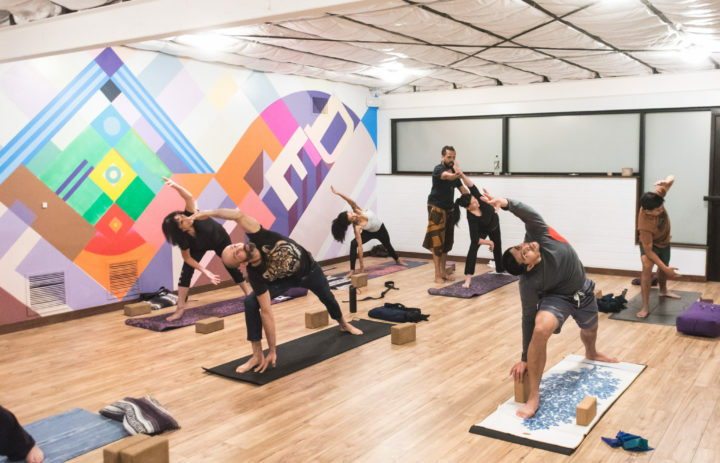 Candlelight Vinyasa is a breath to movement yoga class, designed to wind down the night. A slower pace matched with a focus on moving deliberately and meditatively through transitions under candlelight creates a unique intimacy. Every class ends with an optional guided candlelight meditation. Balance. Half Vinyasa half Yin. Candlelight Hi Lo flow begins with Vinyasa sequence that transitions into a Yin sequence. Breath 2 movement transitions to finding stillness for an extended period. The pace slows all the way down as we end with an optional candlelight meditation. This experience is designed for students to feel the contrast between the two styles, as we wind down toward the weekend. Held every Thursday. In the still of the night. Yin yoga is a style of yoga with postures, or asanas, that are held for longer periods of time staying in one asana for up to five minutes or more. Yin yoga poses apply moderate stress to the connective tissues of the body, the tendons, fascia, and ligaments, with the aim of increasing circulation in the joints and improving flexibility. 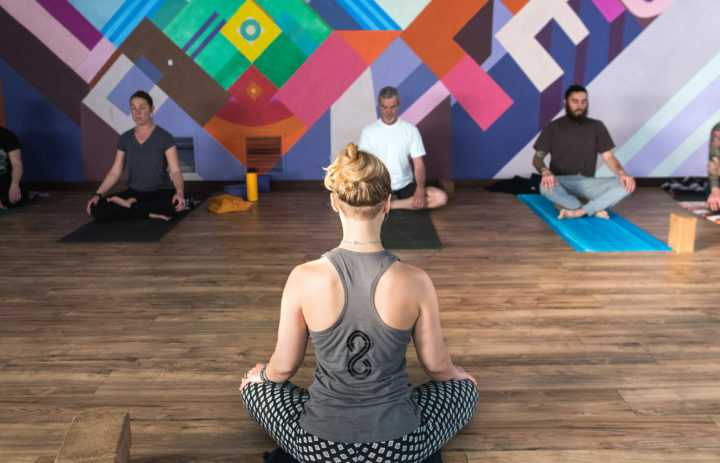 A more meditative approach to yoga, yin aims at cultivating awareness of inner silence, and bringing to light a universal, interconnecting quality. 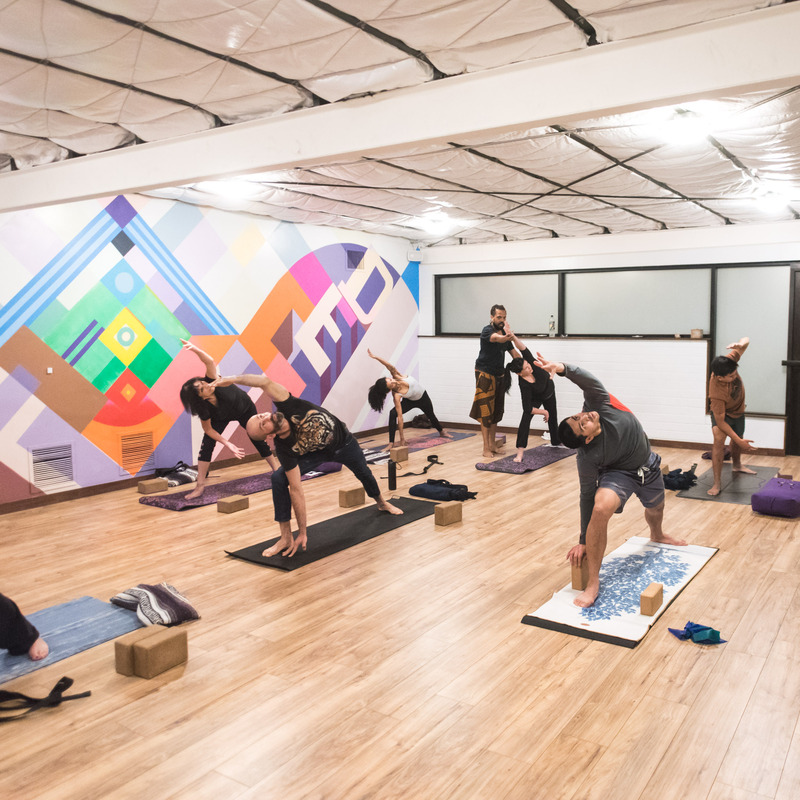 Get creative with your yoga practice, and break a sweat doing it! 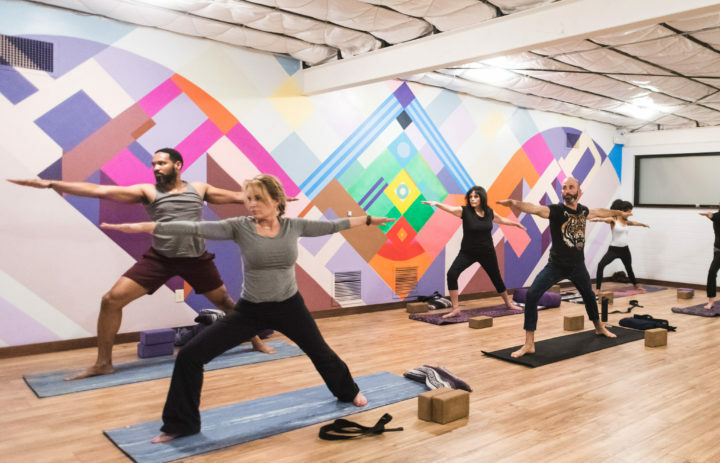 Explore this martial-arts style of yoga in an inspired flow to find your inner warrior as you build strength, mind-body awareness, and total body control. Restorative yoga is a practice that releases built up tension and stress within the body. The main focus of the practice is to calm down your nervous system through asana and pranayama. Postures are held for at least three minutes and include gentle twists, backbends, and forward folds. Props are abundantly used to support the body and allow deep relaxation and rest. Students can expect to leave with a slower heart rate and blood pressure as well as feeling clear and relaxed. Yin Yang is an an integrated experience that embodies yin principles; fostering spaciousness and mobility within the joints through practicing long sustained holds in mostly floor based poses. Deeply meditative as well as reparative to the functionality of the human body. To counterbalance, engaging and dynamic yang poses are practiced which will restore and initiate a lightness to better walk through your day balanced.